OneRepublic have announced a ten stop Canadian tour in 2015, kicking off in Quebec City on April 18 and wrapping in Vancouver on May 2. Complete tour listing below. Tickets will go on sale starting Saturday, November 29 through the Live Nation mobile app and at www.livenation.com. OneRepublic released their debut set Dreaming Out Loud in 2007. The album included the smash single “Apologize,” which shattered digital sales and airplay records worldwide and received a Grammy nomination. 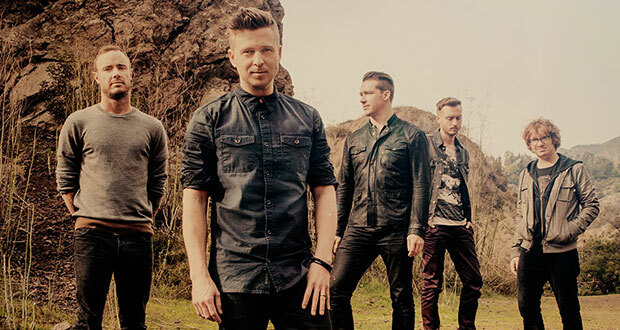 The band’s sophomore album, 2009’s Waking Up, produced three singles: “All the Right Moves,” “Secrets” and “Good Life.” OneRepublic released their third studio album, Native, in March 2013 where it debuted at No. 4 on the Billboard Top 200 chart. The set includes hits “If I Lose Myself,” “Feel Again,” “Counting Stars,” “Love Runs Out” and new single “I Lived.” OneRepublic spent most of 2014 on the road headlining their Native Summer Tour and touring Europe.